As you can see there are lots of types of scale and many attack a variety of hosts. Scale are resistant to control due to their hard armoured shell and tendency to hide in the axils of leaves or other hard to get places. Control depends on the size and location of the tree but each control agent will have the same secret of success: spray more than once, preferably at five to six day intervals to get the young scale who have hatched out since the last spray. 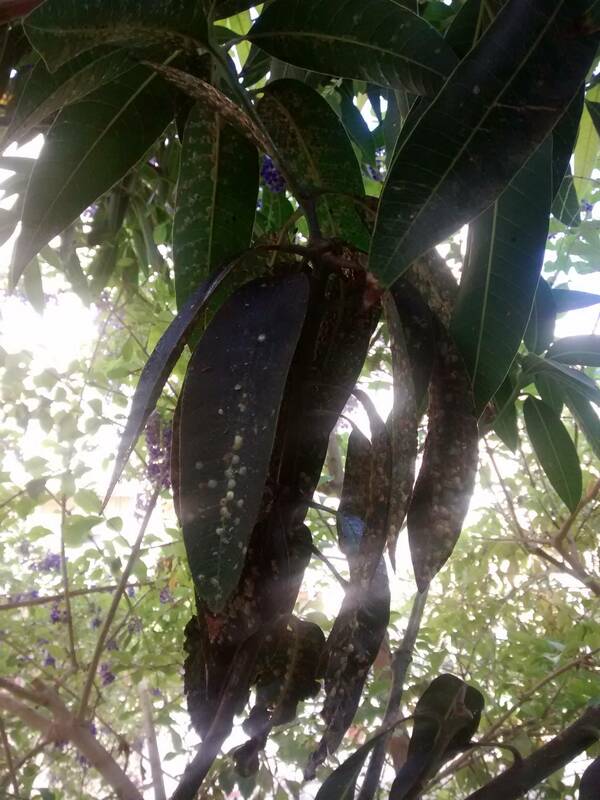 As this is a food plant I assume you would want to avoid soil drenches or systemic insecticides which are quite effective but their residual activity would be taken up by the mangos. Physical removal by scrubbing the branches with a rough scrub brush is effective if followed by a spray of soap and water at 5ml/liter or neem oil. For a tree the issue is getting good coverage which often requires a pressurized sprayer. Not the answer you're looking for? Browse other questions tagged diagnosis fruit-trees pest-control tropical or ask your own question. 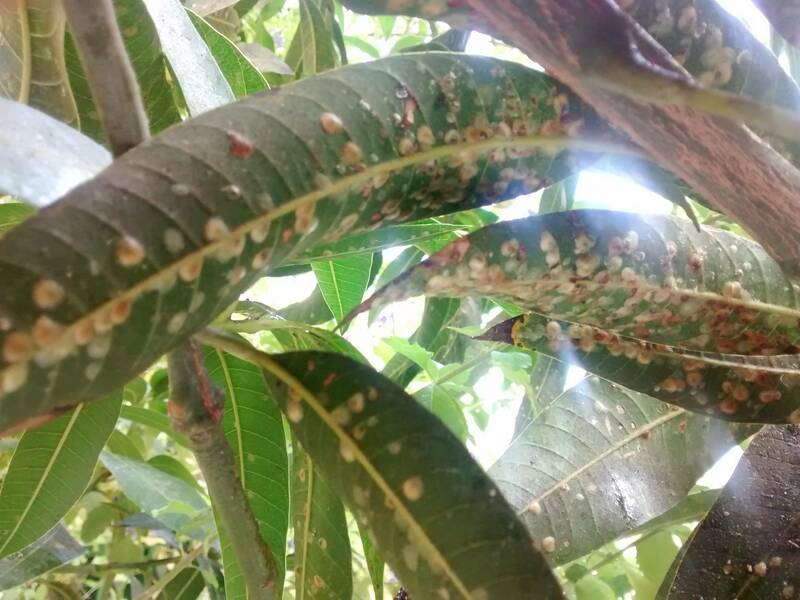 What is this black spotted disease on my orange tree? Can I use ladybugs on herbs while treating trees in the same garden with imidacloprid? Can I get rid of sap stains on my mulberry tree? Why are the figs rotting on my tree?